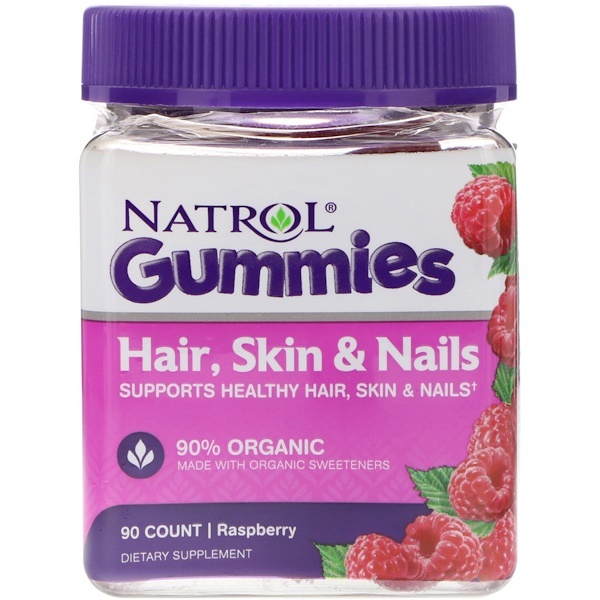 Natrol Hair, Skin & Nails Gummies contain essential nutrients and they taste great, proving you don't have to sacrifice flavor for quality. 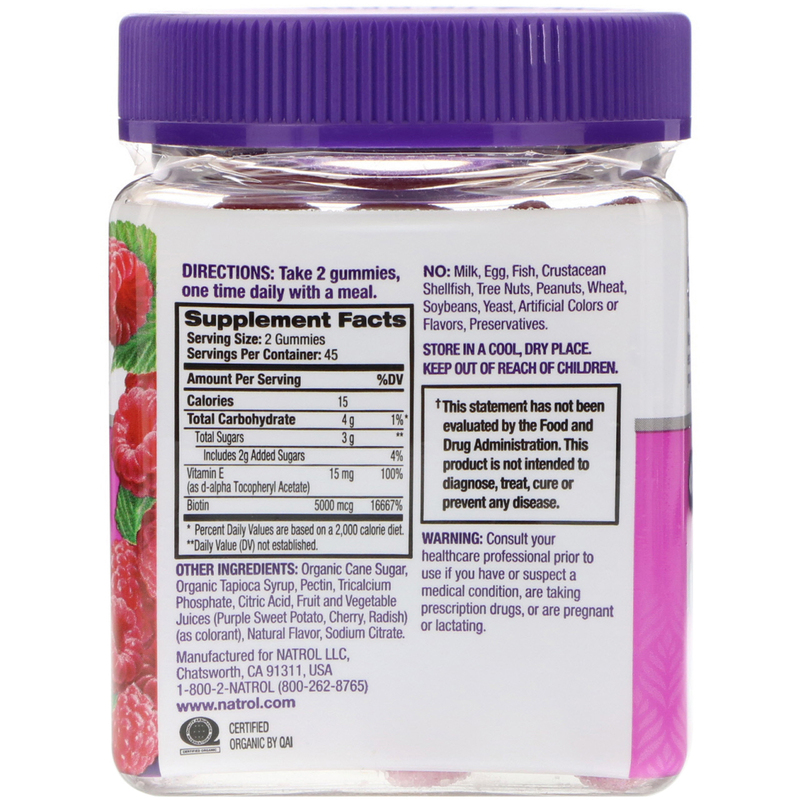 Take 2 gummies, one time daily with a meal. Organic cane sugar, organic tapioca syrup, pectin, tricalcium phosphate, citric acid, fruit and vegetable juices (purple sweet potato, cherry, radish) (as colorant), natural flavor, sodium citrate.